It was whilst he was an active MI5 officer, that Cornwell began writing his first novel “Call for the Dead” (1961), Moreover, Lord Clanmorris was one of two inspirations – Vivian H. H. Green being the other – for George Smiley, the spymaster of the Circus.In 1960, Cornwell transferred to MI6, the foreign-intelligence service, and worked under Second Secretary’ cover in the British Embassy at Bonn; he later was transferred to Hamburg as a political consul. There, he wrote the detective story A Murder of Quality (1962) and espionage thriller The Spy Who Came in from the Cold (1963), as ‘John le Carré’ which became an international best-seller & established him as an important writer of espionage fiction and remains one of his best known works.Following the novel’s success, Cornwell left the service in 1964 to work full-time as a novelist, as his intelligence officer career was ended by the betrayal of British agents’ covers to the KGB by Kim Philby, a British double agent (of the Cambridge Five). 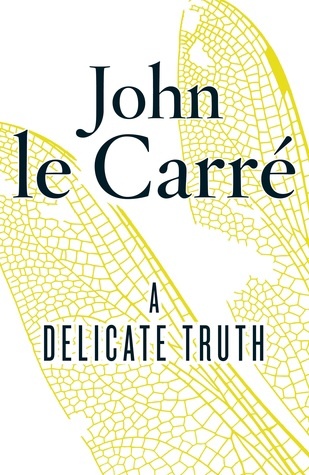 Le Carré depicts and analyses Philby as the upper-class traitor, code-named Gerald by the KGB, the mole George Smiley hunts in Tinker, Tailor, Soldier, Spy (1974). Credited by his pen name, Cornwell appears as an extra in the 2011 film version of Tinker, Tailor, Soldier, Spy, among the guests at the Christmas party seen in several flashback scenes.In 1964 le Carré won the Somerset Maugham Award, established to enable British writers younger than thirty-five to enrich their writing by spending time abroad.In 1990, he received the Helmerich Award which is presented annually by the Tulsa Library Trust. In 2008, The Times ranked Le Carré 22nd on its list of “The 50 greatest British writers since 1945″. In 2011, he won the Goethe Medal, a yearly prize given by the Goethe Institute.In 1998, he was awarded an Honorary Degree (Doctor of Letters) from the University of Bath, and In 2012, he was awarded the Degree of Doctor of Letters, honoris causa by the University of Oxford. 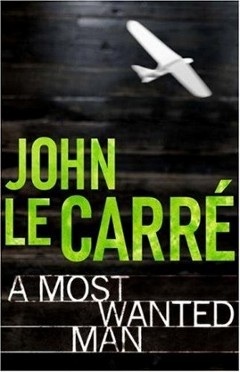 Many of Le Carre’s novels have also been adapted for screen and television including Tinker,Tailer,soldier,spy, A Delicate Truth and A Most Wanted Man. Best remembered for works such as Gulliver’s Travels, A Modest Proposal, A Journal to Stella, Drapier’s Letters, The Battle of the Books, An Argument Against Abolishing Christianity, and A Tale of a Tub, the Author satirist,essayist, political pamphleteer poet and cleric Jonathan Swift sadly passed away on 19 October 1745. Born in Dublin, Ireland in 30 November 1667. He was the second child and only son of Jonathan Swift (1640–1667) and his wife Abigail Erick. Swift’s father died in Dublin before he was born, and his mother returned to England. He was left in the care of his influential uncle, Godwin, a close friend and confidant of Sir John Temple, whose son later employed Swift as his secretary. Swift’s family had several interesting literary connections: His grandmother, Elizabeth (Dryden) Swift, was the niece of Sir Erasmus Dryden, grandfather of the poet John Dryden. The same grandmother’in aunt, Katherine (Throckmorton) Dryden, was a first cousin of Elizabeth, wife of Sir Walter Raleigh. His great-great grandmother, Margaret (Godwin) Swift, was the sister of Francis Godwin, author of the Man in the Moone which influenced parts of Swift’s Gulliver’s Travels. His uncle, Thomas Swift, married a daughter of the poet and playwright Sir William Davenant, a godson of William Shakespeare who became Dean of St Patrick’s Cathedral, Dublin. In February 1702, Swift received his Doctor of Divinity degree from Trinity College, Dublin. That spring he traveled to England and returned to Ireland in October, During his visits to England Swift published A Tale of a Tub and The Battle of the Books (1704) and began to gain a reputation as a writer. This led to close, lifelong friendships with Alexander Pope, John Gay, and John Arbuthnot, forming the core of the Martinus Scriblerus Club.Swift became increasingly active politically in these years urging upon the Whig administration of Lord Godolphin the claims of the Irish clergy to the First-Fruits and Twentieths(“Queen Anne’s Bounty”), . He found the oppositionTory leadership more sympathetic to his cause and Swift was recruited to support their cause as editor of The Examiner when they came to power in 1710. In 1711, Swift published the political pamphlet “The Conduct of the Allies,” attacking the Whig government for its inability to end the prolonged war with France. The incoming Tory government conducted secret (and illegal) negotiations with France, resulting in the Treaty of Utrecht (1713) ending the War of the Spanish Succession. Swift recorded his experiences and thoughts during this difficult time in a long series of letters collected and published after his death as A Journal to Stella. Harley was eventually dismissed in 1714. With the death of Queen Anne and accession of George I that year, the Whigs returned to power and the Tory leaders were tried for treason for conducting secret negotiations with France.Also during these years in London, Swift became acquainted with Esther Vanhomrigh,, who features as one of the main characters in his poem Cadenus and Vanessa. The poem and their correspondence suggests that Esther was infatuated with Swift, and that he may have reciprocated her affections, only to regret this and then try to break off the relationship .Esther followed Swift to Ireland in 1714, and settled at Celbridge Abbey. Their uneasy relationship continued for some years until Esther Vanhomrigh died in 1723 at the age of 35, having destroyed the will she had made in Swift’s favour. Another lady with whom he had a close but less intense relationship was Anne Long . Before the fall of the Tory government, Swift hoped that his services would be rewarded with a church appointment in England. However, Queen Anne took a dislike to Swift and thwarted these efforts. Her dislike has been attributed to The Tale of a Tub, which she thought blasphemous, compounded by The Windsor Prophecy, where Swift, with a surprising lack of tact, advised the Queen on which of her bedchamber ladies she should and which she should not trust. Swift worked at the Deanery of St Patrick’s until the return of the Whigs, whereupon Swift left England and returned to Ireland where he began to turn his pamphleteering skills in support of Irish causes, producing some of his most memorable works: Proposal for Universal Use of Irish Manufacture (1720),Drapier’s Letters (1724), and A Modest Proposal (1729), earning him the status of an Irish patriot.This new role was unwelcome to the Government, which made clumsy attempts to silence him with a charge of Sedition. Swift responded with an attack on the Irish judiciary almost unparalleled in its ferocity, his principal target being the “vile and profligate villain” William Whitshed, Lord Chief Justice of Ireland. Also during these years, he began writing, Travels into Several Remote Nations of the World, in Four Parts, by Lemuel Gulliver, first a surgeon, and then a captain of several ships, better known as Gulliver’s Travels. Much of the material reflects his political experiences of the preceding decade. For instance, the episode in which the giant Gulliver puts out the Lilliputian palace fire by urinating on it can be seen as a metaphor for the Tories’ illegal peace treaty; having done a good thing in an unfortunate manner. In 1726 he visited London, with the manuscript of Gulliver’s Travels. During his visit he stayed with his old friends Alexander Pope, John Arbuthnot and John Gay, who arranged for the anonymous publication of his book. First published in November 1726, it was an immediate hit. Swift returned to England one more time in 1727 and stayed with Alexander Pope once again. On 28 January 1728, Esther Johnson died; Swift had prayed at her bedside, even composing prayers for her comfort. Swift could not bear to be present at the end, but on the night of her death he began to write his The Death of Mrs Johnson. He was too ill to attend the funeral at St Patrick’s. from this point. Death became a frequent feature of Swift’s life, in 1731 he wrote Verses on the Death of Dr. Swift, his own obituary published in 1739. In 1732, his good friend and collaborator John Gay died. In 1735, John Arbuthnot, another friend from his days in London, died. In 1738 Swift began to show signs of illness, and in 1742 he may have suffered a stroke, losing the ability to speak and realizing his worst fears of becoming mentally disabled. He became increasingly quarrelsome, and long-standing friendships, like that with Thomas Sheridan, ended without sufficient cause. To protect him from unscrupulous hangers on, who had begun to prey on the great man, his closest companions had him declared of “unsound mind and memory”. However, it was long believed by many that Swift was actually insane at this point. In his book Literature and Western Man, author J. B. Priestley even cites the final chapters of Gulliver’s Travels as proof of Swift’s approaching “insanity”.In part VIII of his series, The Story of Civilization, Will Durant describes the final years of Swift’s life as such:”Definite symptoms of madness appeared in 1738. In 1741 guardians were appointed to take care of his affairs and watch lest in his outbursts of violence he should do himself harm. In 1742 he suffered great pain from the inflammation of his left eye, which swelled to the size of an egg; five attendants had to restrain him from tearing out his eye. He went a whole year without uttering a word. In 1744, Alexander Pope died. On October 19, 1745, Swift also died After being laid out in public view for the people of Dublin to pay their last respects, he was buried in his own cathedral by Esther Johnson’s side, in accordance with his wishes. The bulk of his fortune (£12,000) was left to found a hospital for the mentally ill, originally known as St Patrick’s Hospital for Imbeciles, which opened in 1757, and which still exists as a psychiatric hospital. Many of Swift’s novels including Gulliver’s Travels remain popular and have been adapted into film many times.